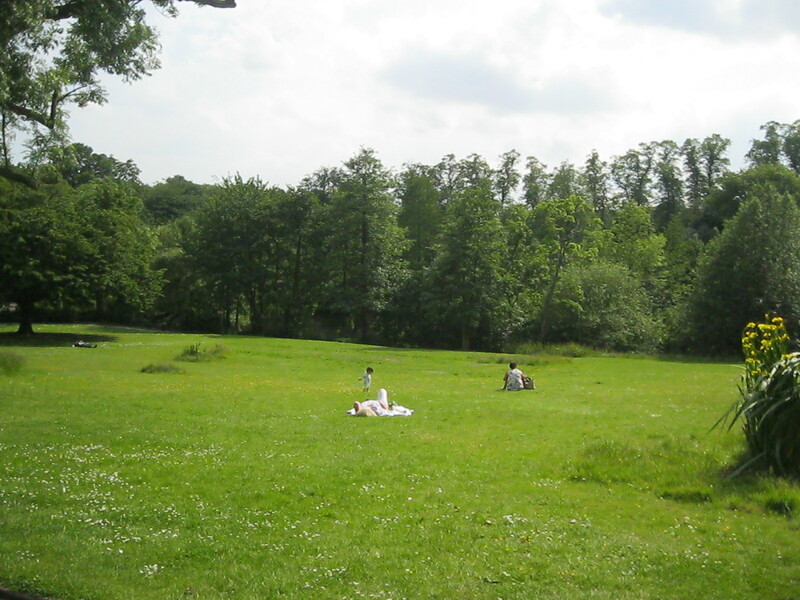 Nearby Waterlow Park is a great place to lie in the sunshine and read! I finished Eleanor Catton’s ‘The Luminaries’ lying in the grass. Virginia Woolf’s underapreciated Night and Day, who comes from ‘a respectable middle-class family living at Highgate.’ Like nearby Hampstead, it’s a place of tranquil parks (Waterlow Park is a beautiful place to read in the sun and dogs have to be on leads which is ace! ), leafy squares, Georgian townhouses and independent shops in Highgate Village. 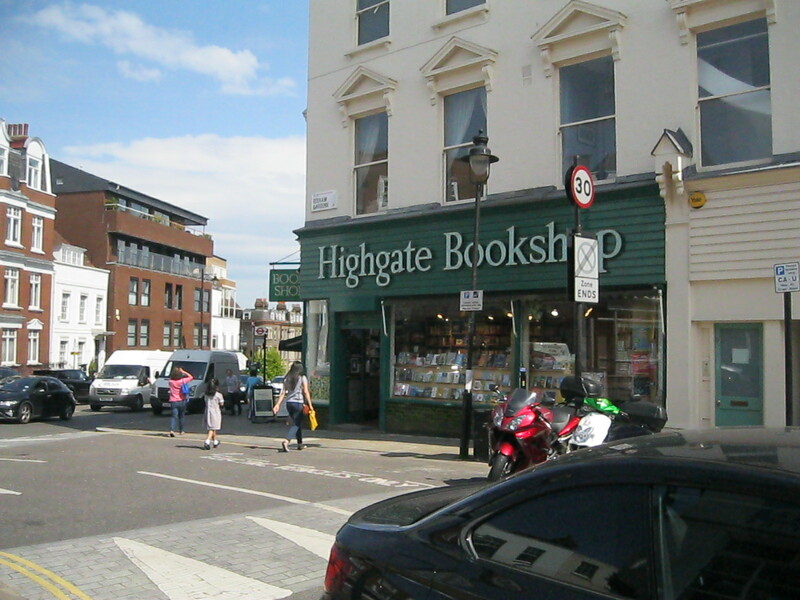 One of these is the excellent little Highgate Bookshop. 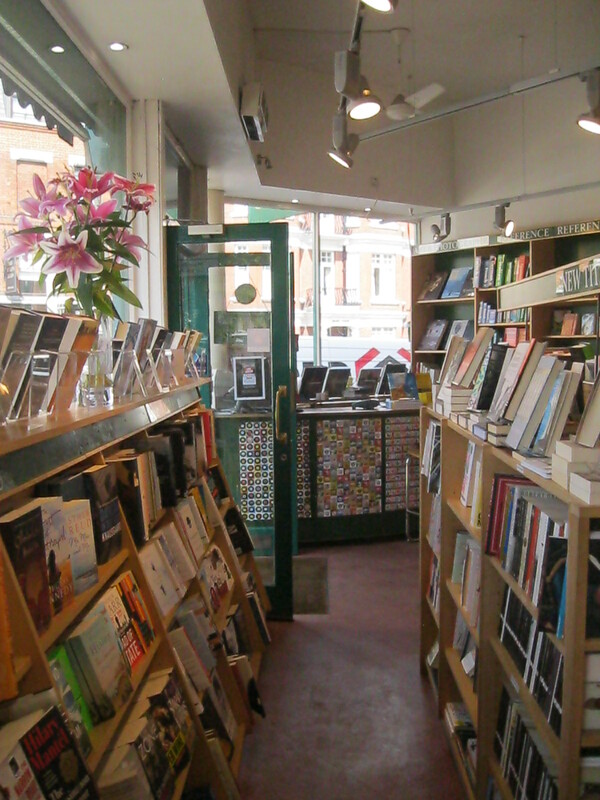 When I visited, the door to the shop was open, which let a warm breeze in, making for a very pleasant browsing experience. A few members of staff were scattered around the shop getting on with their work. They offered knowledgeable advice to browsers who looked confused but seemed able to tell who just wanted to look at books in silence. That discerning nature, in my opinion, is one of the most important qualities of a bookseller. It makes me feel comfortable enough to stick around for a while, to go back and forth between sections as much as I choose. 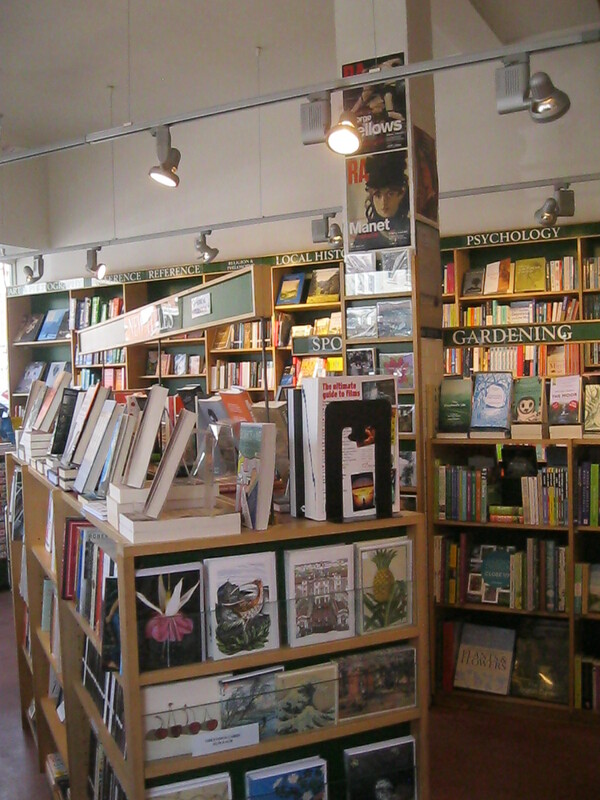 The shop has a small but well-curated selection of books in all the major categories. There is a good poetry section, a small drama section and shelves full of books on History, Philosophy, Psychology and Politics, as well as lots of beautiful cookery books. It also has lots of books on slightly more niche subjects, like Nature, Animals and Gardening. Its New and Bestselling displays are great because they include lots of different genres; I have to admit that I tend to forsake politics, culture, history and even literary criticism in favour of a good thick novel. While I will always believe that the novel is the perfect art form and by far my favourite, there are brilliant books coming out every day, about art, philosophy, feminism, music, society and technology that I know I would find fascinating if I gave them a chance. The Highgate Bookshop is a great place to remember that and dare yourself to pick something up that wouldn’t otherwise have occurred to you. Its fiction section, though, is still where I spent most of my time. It is an excellent fiction section, where you can find all the classics, a very thoughtful and outward-looking selection of English and international contemporary fiction and lots of lesser-known novels to try. It is also a selection you can trust; under J for James, you’ll find not Fifty Shades of Grey, but rather The Portrait of a Lady, What Maisie Knew and The Turn of the Screw. At least there is order and propriety somewhere in this mixed-up world! I bought two novels at Highgate Bookshop. The first was by a familiar face on my bookshelf; it was Lives of Girls and Women by The Great Alice Munro, which is her only novel. The second was more of a gamble: Ladies Coupé by the Indian writer Anita Nair. I had never read anything by her before and the cover of the book was halfway between serious world literature and chick lit (it annoys me how often novels by female writers suffer that fate), but the Daily Telegraph described it as ‘one of the most important feminist novels to come out of South Asia’ so I thought it was worth a punt. For anyone curious, I have now finished it and would recommend trying it. It’s not a perfect novel; the prose is good but not great. There are moments when it absolutely soars, and other moments where it feels clunky, contrived and cliché. But overall, it’s good, and the story is incredibly engaging, the characters are three-dimensional and memorable and the main messages – that women can be happy on their own, that women must be happy on their own and that storytelling should be a crucial part of any social movement – will stay with you long after the end of the book. It was one of Nair’s earlier novels so the next time I visit a bookshop I’ll have to look into what she’s done since. 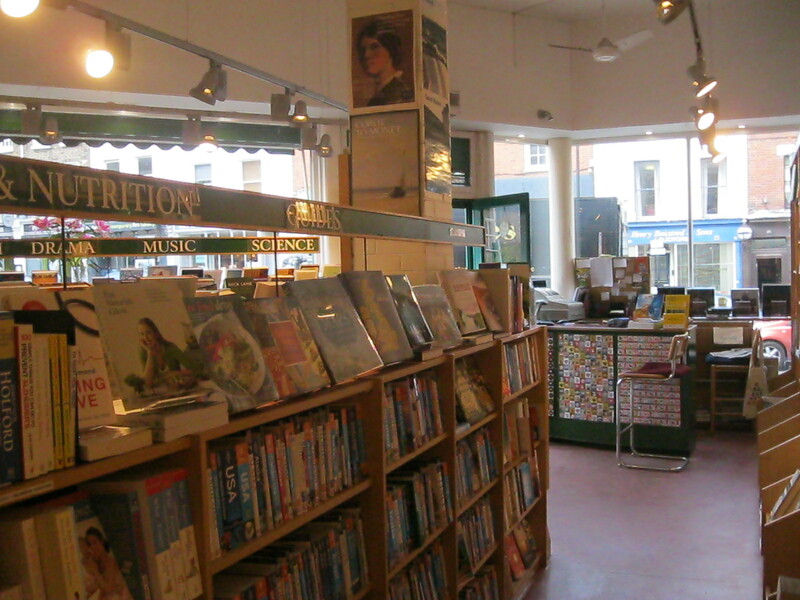 Like all good bookshops (or record shops, galleries or museums…) the Highgate Bookshop is a central part of its community because it provides a place for people to explore things that are decidedly outside of their daily routines. To be in the presence of books and bookish people is always exhilirating and challenging. I love it because I think it is important for know-it-alls like me to be reminded that there is a whole world of knowledge, experience and art out there, and that I’m only familiar with a tiny fraction of it. The Highgate Bookshop, with its thousands of choices, each providing a new window on a different world, is a very important place to me. It challenges me by asking me to look at what I don’t know, and it inspires me to never stop learning and exploring through the pages of books.